Description: On this show, Victor speaks with Abigail Hitchens of PETALS IN THYME in Wasaga Beach and we find out that there is much more to this store than just flowers. Learn about Abigail's love of design and hear about what's "in store" for you with a visit to her location at Mosley Street and Sunnidale Road in The Beach. Don't miss this informative and very entertaining show as Victor gets "Vocal for Local Business". BEACH BUSINESS SPEAKS Heard only on Beach BOOSTER Radio, Saturdays at 10:00 am, Mondays & Thursdays at 8:00 pm.. Wasaga Beach's truly LOCAL radio! Photo by Patti Friday. 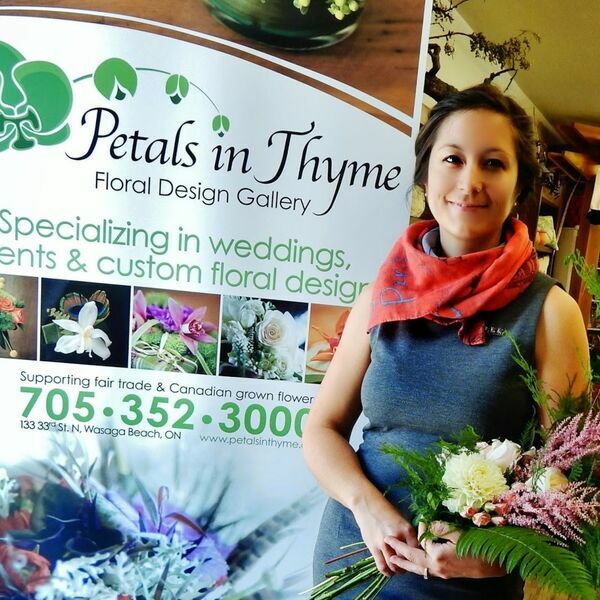 On this show, Victor speaks with Abigail Hitchens of PETALS IN THYME in Wasaga Beach and we find out that there is much more to this store than just flowers. Learn about Abigail's love of design and hear about what's "in store" for you with a visit to her location at Mosley Street and Sunnidale Road in The Beach. Don't miss this informative and very entertaining show as Victor gets "Vocal for Local Business". BEACH BUSINESS SPEAKS Heard only on Beach BOOSTER Radio, Saturdays at 10:00 am, Mondays & Thursdays at 8:00 pm.. Wasaga Beach's truly LOCAL radio! Photo by Patti Friday.